“NO LONGER just the place to keep the plants and the barbecue, our gardens are increasingly becoming destination spaces to relax, work and play in. 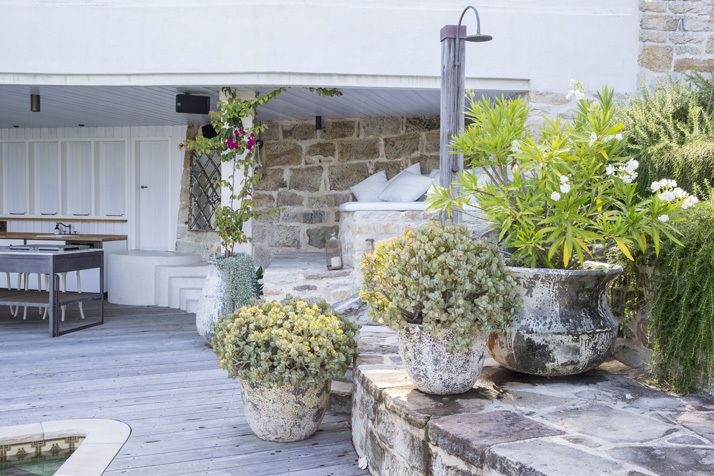 Garden designer Michael Bates says he is constantly inspired by the creative ways homeowners are turning their backyards into an extension of their home. “In the ’70s there was a barbecue area, everyone sitting around a redwood table and a swimming pool,” the Bates Landscape founder says. 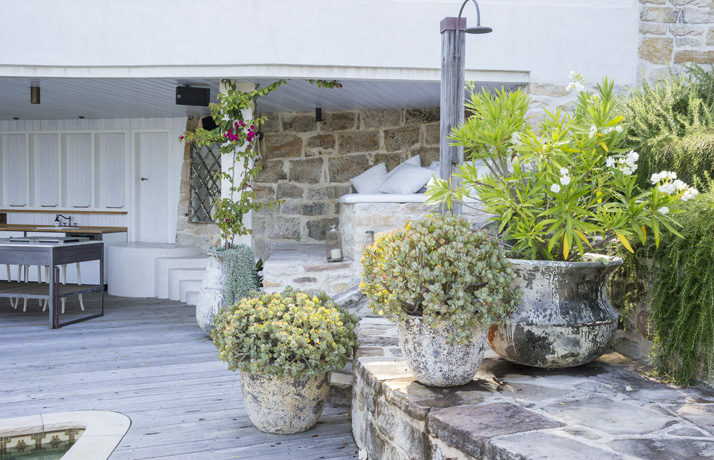 Bates shows off some of the many ways the traditional lawn can be transformed into a modern masterpiece in his recently released book The New Australian Garden. It features 18 landmark gardens created by top designers and architects, which include large sculptural designs, cosy sanctuaries, an outdoor bath and a vast mix of native and exotic plants. The book also has examples of gardens with landforms — created by contouring soil to turn flat grounds into elevated sculptural shapes. Bates says he believes it will be the next big thing in landscape design. 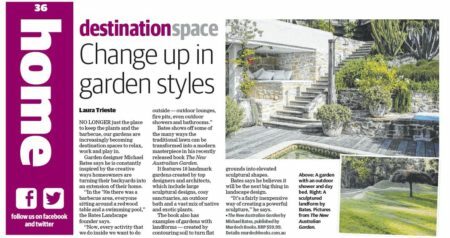 The New Australian Garden by Michael Bates, published by Murdoch Books. RRP $59.99.